Sleeping babies are rarer than we thi with 40% of babies in the U.K. affected by reflux and up to 50% in the USA. Infant reflux is not a disease. It is a symptom. Always. Because it is a symptom, it has a cause. Figure out that cause, resolve the reflux. Except it is not just that simple. The world believes that the cause of reflux in babies is a weak sphincter muscle, allowing stomach acid to regurgitate easily. That is not true. Every baby has a weak sphincter muscle. This is a normal part of digestive development. And every baby regurgitates. Babies with reflux all have another cause, something else that is forcing the stomach acid out of the stomach into the food pipe much later than just a few minutes after a feed and causing ongoing and severe discomfort and pain. Whilst the serious conditions are almost always recognised by the medical, the other two causes are mostly ignored. If you have every worked with a baby who has reflux, or a parent of a child who struggles with reflux, or have had a baby with reflux, then you will know how difficult this “disease” is. No one takes mum seriously, no one gives support to the family. No one understand what is it like to live through reflux. No one understands what it is like to hold your screaming baby and be completely helpless to do anything to help them. This is where we come in. As professionals who work with babies, mothers and families who continue to fight and struggle to cope with the continual pain that reflux introduces into a family, we are in the perfect position to support these families in a greater capacity than they are currently being supported. By asking better questions we can get better answers. From my work, I know that the number one cause of reflux is aerophagia. This is most commonly caused by tongue tie. Yet I am finding so often that babies who are formula fed are left completely unsupported by those who are best placed to correctly identify tongue ties. To say I feel very strongly about this is more than an understatement. I firmly believe that the only people properly qualified to identify a tongue tie are either Tongue Tie practitioners or International Board Certified Lactation Consultants. I know this will cause upset. I know there are very experienced breastfeeding counsellors out there who can diagnose a tongue tie. But you are an exception to the rule. I have had multiple clients tell me that their child was checked by the GP or health visitor, and doesn’t have a tie, yet when I work through their symptoms it is obvious to me that they do. And I don’t even have to meet these babies. I send them off to the proper professional and it turns out, 100% of my referrals do have ties that resolve so much when cut. Something that really angers me is the phrase “there is a tongue tie but it is not affecting feeding”. I want to call time on these statements. In a baby with reflux, we must do everything we can to support them. When you understand that drinking air is a major contributor to reflux, and babies with restricted tongue movement drink air as a by-product of having a tie, surely we must cut it? Bottle-fed babies are completely ignored when it comes to tongue ties and this is not fair. A tongue tie will actually affect these babies more than a breastfed baby. Add into this that the tongue has much greater role in life. It is responsible for the development of the facial bones and muscles. A baby with a tongue-tie is more likely to require orthodontics later, solely due to the tie. With restricted tongue movement, the palette of the mouth remains high instead of getting pulled downwards by the sucking forces of the tongue. And without the tongue sitting in the upper jaw when at rest, the upper palette stays narrow rather than widening out. This results in the diagnosis “your mouth is not big enough for your teeth”. So we remove teeth and pull the remaining ones into a new position to look good. But what if I told you that by cutting a tongue tie in infancy will allow the face to develop to its proper structure and naturally allow every child to have enough space in their mouth for all their teeth? And how do you think we speak? Our tongues help us shape words and sounds. Having a tied tongue has massive impacts on baby’s speech and communication development, along with the social esteem elements that go along with speech delay. The ongoing pain and discomfort that an unresolved tongue tie brings on a daily basis is clear to me. I have a tongue tie. I was never breastfed and I suffered years of horrible painful and battles with braces. I still have crooked teeth. And I still have to concentrate to articulate my speech every minute of every day. This is not good enough. This needs to change. 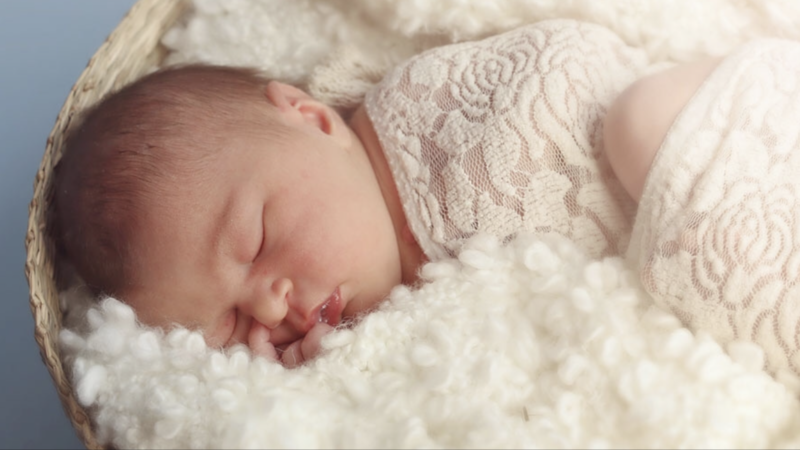 For more information on the causes of reflux and how addressing the cause can completely resolve pain and discomfort for our babies, visit Áines blog and Facebook page.